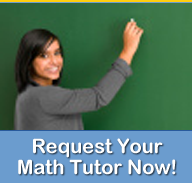 Math Tutoring Experts provides group training packages for many topics related to different mathematical subject matter. All that is required is for three or more students to request training for a particular topic in their course. Here are just some of the topics that are covered. Any topic that is not shown from our mathematics courses lists can be requested by contacting our customer service representative.